I am one of the 80% of Filipinos who do not know how to cook. Yes, I can fry an egg or cook rice, but I'd rather leave all the complicated stuff to my brother who got his skills from our Lola. And did you know that even in surveys, two of the top reasons why they do not cook are lack of confidence and inadequate knowledge about recipes? Good thing, Knorr wanted to address these issues by helping us serve flavorful meals with a little effort, but achieving the "Lutong Nanay" philosophy. “Home-cooking is in decline but Knorr is fighting back here in the Philippines to inspire and help moms create the wonder of their flavor, and build lifelong family bonds,” declares Oliver Sicam, Unilever’s Marketing Director for Foods. Remember the time where cookbook recipes are shown on the television every Sunday? I bet you'd write down every ingredient used, and get excited to try them too. With Knorr, they wanted to inspire people to cook more and show how mom-cooked meals are the real key to the powerful bonds mothers yearn to build with their loved ones. World-renowned neuroscientist Dr. Stuart Firestein, PHD from New York’s Columbia University has been carrying out research into the wonder of mom-cooked flavors for many years. “Flavors she cooks up in her kitchen reach the parts of the brain, heart and soul that other things just can’t reach,” says Firestein. “What continues to fascinate me is how the brain instinctively knows that certain flavors and foods have the power to mean more to us than just sustenance. This is called sensory recall and is a phenomenon which demonstrates how the brain is hard-wired to respond in certain ways to different tastes and smells. Even over time and distance, when we taste mom’s cooking, it transports us back to a special place and a unique memory,” he adds. When I was younger, I'd always tell my Lola to cook Adobong Sitaw or Ginisang Ampalaya. Until now, I'd always tell people that she trained me to eat ampalaya even if almost everyone I know hates the vegetable. Now, whenever I have that dish, I remember my Lola Merced and thank her for the mom-cooked meals she has provided while I was growing up. 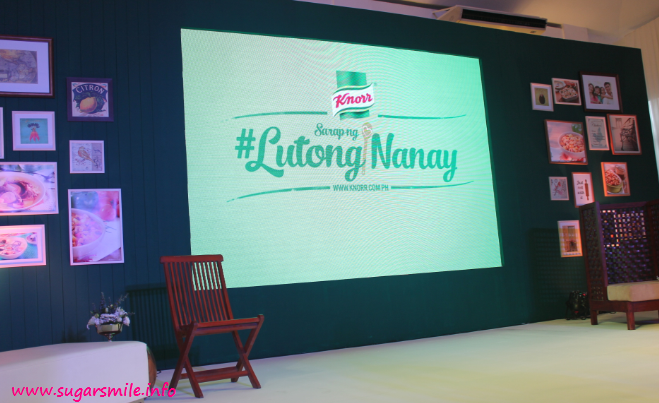 Last November 20, the Sarap ng #LutongNanay Movement was spearheaded by Knorr and its newest celebrity mom ambassadors. Led by Carmina Villarroel, cooking for her husband and twins is always a joy for her. Sometimes, her daughter would join her in preparing their meals, while her son would request for a certain dish. She'd even make two Sinigang because one likes shrimp, while the other, loves pork. And even if Carmina has so many roles to portray every single day, Knorr makes it possible for her to do simple yet meaningful dishes for her family. 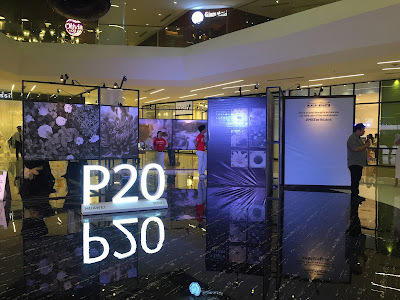 With fellow mom influencers Dimples Romana, Delamar Arias, Pia Guanio and Danica Sotto, Carmina encouraged moms to spend a day bringing back their passion for cooking and sharing the importance of home-cooked meals with fellow moms. After their discussion was a cook-off among the four mommies. Dimples made the Tinola sa Gata, Pia served the Crispy Tofu Sisig, Danica whipped the Sinigang sa Pakwan, while Delamar prepared the Spicy Adobo Tacos. Because I was assigned to Number 4, Delamar taught us how to prepare the Spicy Adobo Tacos and it is really an easy-peasy dish. 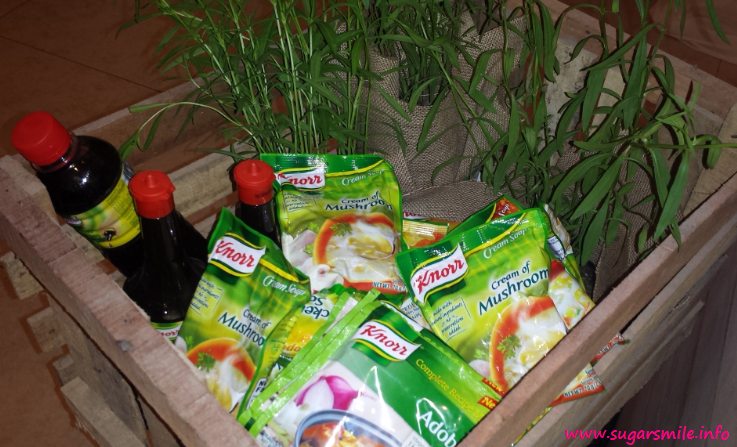 Knorr has a Complete Recipe Mix Adobo that you can use for your chicken. Now you don't need to measure how many soy sauce and vinegar to use because all you have to do is pour water and you have an instant marinade. After cooking the adobo, she made a step-by-step instruction on how to make the taco. And believe me when I say it's so easy I looked like a taco expert. Preparation time is 10 minutes and cooking time is 20 minutes! Now you have an instant and healthy meal for your kids at the same time. I can't wait to do this during movie night. According to Knorr Senior Brand Manager Jec Inocencio, “The “Sarap ng #LutongNanay” movement is just one of the many ways Knorr continues to prove that it understands modern moms’ needs, whilst developing a new generation of cooking moms, by providing convenient cooking solutions without sacrificing taste that families crave and love.” If you think about it, even if you're very busy during the day, letting your kids see you do something for them will create a lasting memory on how much you really care for them. Now, I'm absolutely ready to discover the joy in cooking. With Knorr in our kitchen, these dishes will definitely be better and flavorful, yet easy to create. 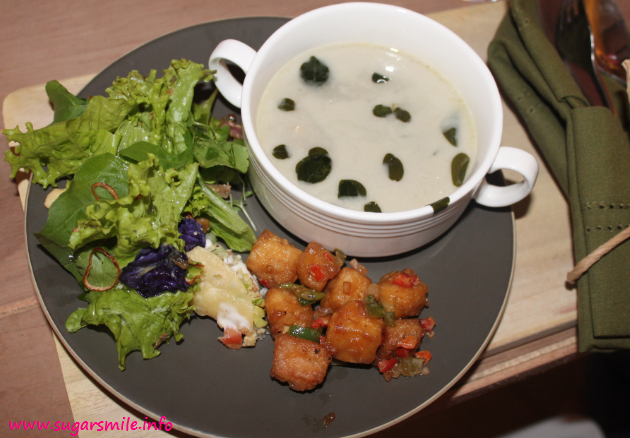 Do you want to try these dishes too? Visit www.knorr.com.ph for recipes and different cooking tips that you can learn from.